Confession: When I got my eyelash extensions removed after a year and a half, I rushed to my waxing studio to have brow whisperer Raquel work her magic so my eye area wouldn’t feel quite so unpretty (RIP Left Eye). But it was while she shaped and shaded that she told me to use castor oil for brow and lash growth. I’m sorry, WHUT? I couldn’t believe I hadn’t heard about this (I’d just been slathering coconut oil everywhere for years) and did some good old-fashioned Googling to confirm that yes, the minerals, proteins, fatty acids, etc. in castor oil can seriously aid in hair growth. Where TF have I been!? I started using it on my lashes and have noticed a significant difference in the last month. Not only are they longer, but fuller, too. HOLLA. Here are my lashes with just one coat of mascara (DiorShow, for the record). 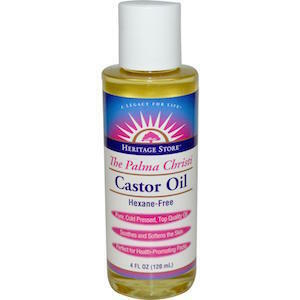 -Buy unrefined and/or cold-pressed hexane-free castor oil, easy to find at Whole Foods or a health food store (here’s the one I use). -Apply at night so it can work its magic while you sleep. -You can apply with a Q-tip, but I like to use my finger. -Dab on the lash line where the lashes meet the eyelid and lightly on the lashes. -Hit the bottom lashes, too if you want! -Apply to brows with a finger or brow brush if you need extra growth there, too (spoiler alert: we could all use that in this AGE OF THE EYEBROWS). And I haven’t used it on my lovely lady locks, but I’m considering. Check out this article for some more info. *Of course, not every beauty product works the same way (or at all) for everyone, so don’t kill me if you don’t see a difference, but this is definitely worth a try, per my personal experience and the Internet.